Passed first time today, thanks ash for getting me through it, excellent instructor. Passed first time with Steve. Thanks Ash and thanks Steve, absolute legends. A massive thank you to Ashley for getting me through my test first time in just 7 weeks with 1 minor. He's been so supportive and encouraging. And also thanks to Ann for doing some lessons with me. I would definitely reccomend them both to anyone. Passed first time today because of ash and would highly recommend great instructor, Thanks. I passed my test with 0 minors thanks to Ashley. He is a great instructor, very supportive and understanding. I recommend Ashley's to anyone who wants to learn to drive well and pass their test. Thanks to Ashley at Ashley's school of motoring for me passing my test after a long wait for my theory. Great instructor and highly recommend to anyone. I would recommend Ashley's School of Motoring to anyone. Ann was my instructor and got me through my driving test first time. She is an excellent instructor and a fabulous lady. Thank you very much Ann! Ash is an excellent instructor. Professional service without the gimmicks. I would highly recommend him to anyone looking to learn to drive or pass their driving test. Thanks a million. Massive thanks to Ash for getting me through my test first time!! Really enjoyable lessons and helps you so much and makes you feel comfortable from first to last, Fantastic instructor and would highly recommend him. Thank you so much to Ann Hutchinson who got me through my test today with 3 minors! She's a fantastic teacher and I can't rate her enough! I would recommend Ashley's school of motoring to anybody especially Ann! Thank you Ash for getting me through my test first time. Fantastic instructor, made me feel comfortable every lesson, can't thank him enough! Thanks to Anne for getting me through my test! She is an amazing driving instructor, very patient and friendly. I would highly recommend Ashley's to anyone. Thank you so much Ashley for tutoring me and helping me to pass my test! Over the moon, great tuition and a wonderful experience. Thank you once again! I would never have passed my driving test first time without Ashley! He's a great teacher and I'm so grateful to him! Can't recommend Ashley enough. Very patient and all-round great instructor. Ashley really built up my confidence and helped me pass first time. He's very patient when you make mistakes and always leaves the lesson on a positive note. Your progression is noted down at the end of each lesson and Ashley explains what you'll move on to next (he's very organised). Really enjoyed the lessons, we had a good laugh along the way too! Thanks Ashley, great instructor. 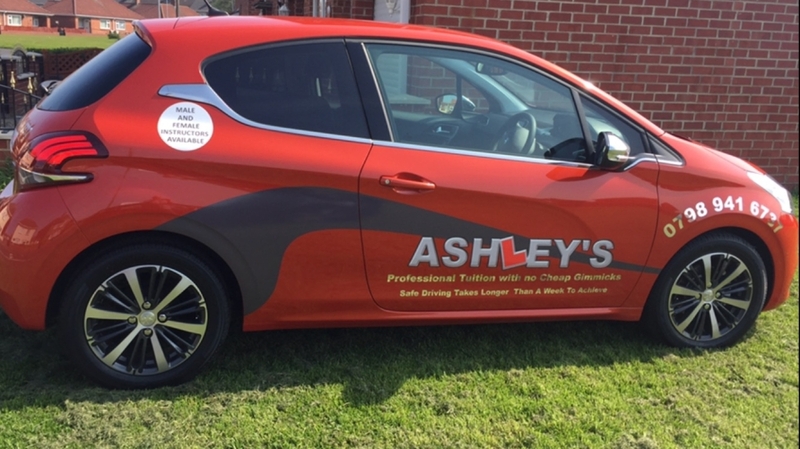 Would highly recommend Ashley to anyone learning to drive, always availible and flexible. A massive thanks to Ashley for getting me through my driving test first time. Excellent instructor who is very patient and great at giving advice on any improvements which need to be made. thank you ash! Great lessons and advice, passed first time and its all down to the top quality service that Ashley Woodcock offers. Extremely good driving instructor, would highly recommend to any one. I would like to thank Ashley for helping me pass my driving test. He was extremely helpful and patient, helped me identify and fix mistakes I was making. Thank you Ashley. Would recommend Ashley to anyone learning to drive. I switched driving instructors to ashley. Best thing i did. Thank you Ashley. A huge thank you to Ash for helping me pass my test! I would 100% recommend him to anyone wanting to learn how to drive. Fantastic driving instructor! massive thank you to Ashley. cant thank you enough for all your patience with me! Passed 1st time with 4 minors. I will be recommending him to anyone! !